The QardioBase is dedicated not only to getting accurate weight readings but also analyzing your entire body. This device finally clarifies your weight gain or loss. Are you burning fat or gaining muscle? Are you actually losing weight or are you just losing water? The QardioBase will let you know and give you an indicative smile while doing so. You can also use the app to set goals and track progress with easily readable charts and graphs. This scale will know you so well that it will be able to recognize you despite use by other members of the same household. With smart feedback in addition to traditional modes, your body is finally much more than a number. The second scale on our list uses cutting-edge technology to give users the knowledge they need to live happier and healthier lives. The Body Cardio brings a vital new heart health metric, standing heart rate plus pulse wave velocity, to the table so that you can keep tabs on your own cardiovascular health and have the information you need to make conscious improvements. With the help of the Health Mate app you can now view your weight, BMI plus body fat, water percentage, muscle mass, and bone mass on your smart phone. The app also has its own smart capabilities. Once you weigh-in and the app receives a pulse wave velocity reading, the app takes your age into account and informs you as to whether or not the reading was optimal or not and provides you with tips on how to improve your health. You may also set your own weight goals and receive corresponding coaching. 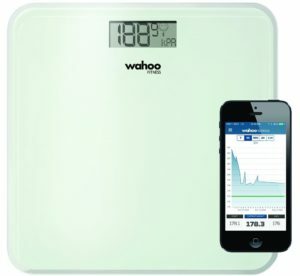 Bonus scale features include local weather forecast and a step tracker when paired with a Withings activity tracker or the app’s built in tracker. 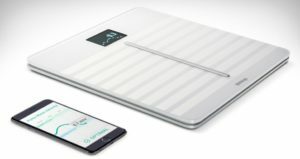 Finally, this scale can recognize up to 8 separate users automatically, making it a healthy investment for every member of the family. The Under Armour Health Box, a bundle deal available in the USA, has everything you need to stay on top of your own fitness. First, you have the UA Band. This stylish and lightweight wrist band is a step counter, sleep monitor, alarm clock, and smart watch, allowing you to view phone notifications and control your music. 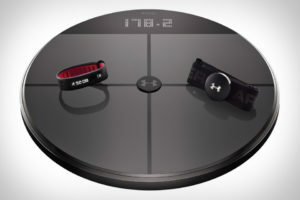 It will also alert you when you’ve been inactive too long and syncs with UA Record for real-time data. The UA Heart Rate is a heart rate monitor designed to give you the most accurate heart rate reading possible during even your toughest and sweatiest workouts. Besides basic heart rate, this monitor can also calculate the intensity of your workout and the calories burned. Water resistant and comfortable, this heart rate monitor also easily syncs with UA Record for accurate data tracking. The UA Scale tracks your weight, body fat percentage and progress over time, easily syncing with UA Record where you can create your own profile to store data and goals. 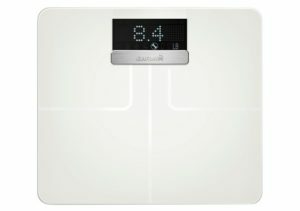 The scale easily recognizes your profile based on weight and can have up to 8 different users. Bonus features include an LED screen display with speaker notifications and automatic power on and off modes based on weight applied. Fitbit Aria is here to help you stay on track of your fitness goals by tracking your weight, lean mass, body fat percentage, and BMI. Aria, like the other contenders on this list, can be used by up to eight individual users so that the whole family can participate in good health. Data is converted into easy-to-read charts and graphs that can be viewed on both your smart phone and browser enabled devices. The same Fitbit dashboard can be used to log food, record workouts, and earn motivating badges. Pair this smart scale with the right Fitbit tracker for you to further maximize your wealth of information. The Garmin Index Smart Scale manages your weight in pounds, kilograms or stones while also calculating your body fat and bone mass percentages to get a clearer view of your overall fitness. 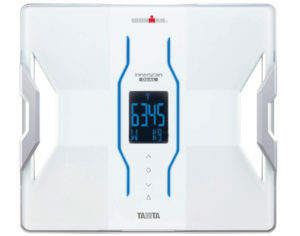 This scale can remember up to 16 users, automatically recognizing each one based on distinct BMI. Bonus features include a sleek design with an easy-to-read display. Data can be uploaded to Garmin Connect where you’ll find yourself a member of a supportive online fitness community. The RD-901 “Ironman” utilizes the newest Dual Frequency bioelectric impedance analysis technology to provide you with essential data on your intracellular and extracellular status. Safe, low-level electrical signals are shot from foot electrodes throughout the body. Quick and non-invasive, this is also one of the most thorough and reliable ways to measure body composition and is clinically comparable to DEXA (dual-energy x-ray absorptiometry) and hydrostatic (underwater) weighing. Data retrieved includes weight, body fat percentage, body water percentage, muscle mass, physique rating, basal metabolic rate, metabolic age, bone mass, visceral fat, and BMI. The USA FDA cleared type 2 medical device has a weighing capacity of 200 kg and also has the memory to support up to 4 users with an added guest mode. 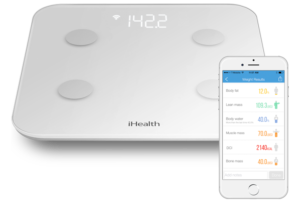 The iHealth Core measures nine aspects of your overall health including weight and body mass index, body fat, lean muscle, bone mass, water weight, daily calories, and visceral fat rating. FDA and CE approved in the USA and Europe, this scale meets or exceeds rigorous accuracy standards making it extremely accurate. When it comes to accessing and analyzing the data, the iHealth Core is compatible with most Android and iOS mobile devices. Last but not least on our list is the Wahoo Balance. 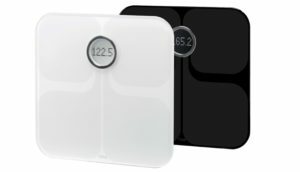 This scale tracks your weight and BMI to analyze your progress over time and help you achieve your fitness goals. With the help of the Wahoo Wellness app, you can set goals, add multiple users, and view highly accurate charts and graphs of your progress over time. 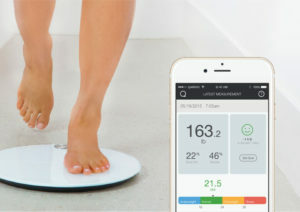 The scale itself has its own internal memory so that you can sync with the app on your iOS device whenever it is convenient for you. With so much so many products out there, the choices should be endless, but unfortunately this is not always the case. 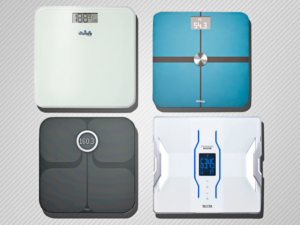 Many smart scales and body analyzers have only been released in specific locations including the USA. So what are you to do if you find yourself outside those regions? That's where Big Apple Buddy comes in. Take your fitness into your own hands today, regardless of your location. Consider using Big Apple Buddy to have your favorite smart scale or body analyzer delivered straight to your door from the USA. Learn more about our service or get a free shipping quote for your smart scale or body analyzer today!